France’s Centre national du cinéma et de l’image animée or CNC (in English “National Centre for Cinema and the Moving Image”), is instituting an effort to ban silver screens across France and in the process making a strong statement on one of the nagging issues of digital cinema projection, low light levels, while dealing a serious blow for leading 3D exhibition systems. 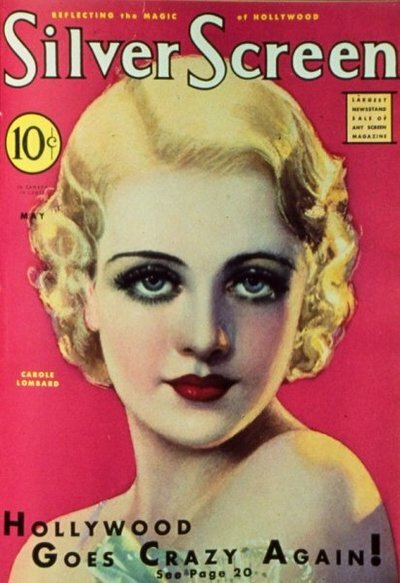 Carole Lombard on the cover of a 1930 issue of "Silver Screen" magazine. The term is emotionally linked to the golden age of cinema. Silver screens are synonymous with old school cinema, but in recent years they have become a required part of the kit for one of the most popular 3D exhibition systems, RealD. They also tend to have a brightness differentiation so light levels drop off around the edges of the screen area creating a “hot spot” effect reminiscent of the old school movie experience. This compromises image quality for non-3D films and can impair viewing from some angles within the cinema. The CNC on behalf of the French government is charged with “supporting, regulating, negotiating, promoting and distributing, cooperating with local authorities, protecting film heritage.” In the interest of improving image quality and visibility they are mandating that silver screens be phased out going forward. While the ban will not impact competitors Dolby and X-pand, RealD has a market share of about 75% of deployed 3D screens in France. The agreement to transition away from silver screens to bright white is being seen as a challenge to usability for 3D. Variety has an excellent summary here, and the original announcement, billed as an agreement to guarantee quality in digital cinema, is available here (in French). Planet3D comment: this is a reminder that technology has to keep up with quality demands. It’s a commercial challenge, but in the final analysis audience experience is the most important thing. This entry was posted in Business of 3D, Debating 3D, Science of 3D by decantu. Bookmark the permalink.